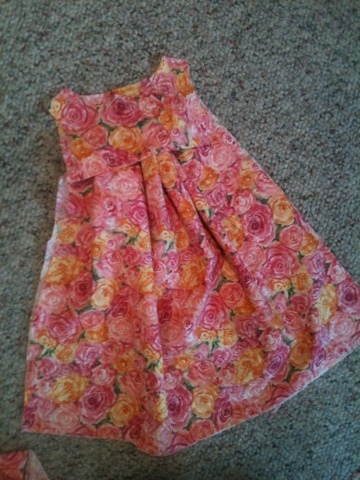 Help... Should I do a ruffle front or or non-ruffle front for my baby girl's Easter Dress??? Suggestions!? For sure do the ruffles!! absolutely YES to the ruffles!!! The horizontal lines of the ruffles would give it some structure, since the fabric doesn't have a visually obvious repeating pattern. Oh no...I'm the only one who says no ruffles. 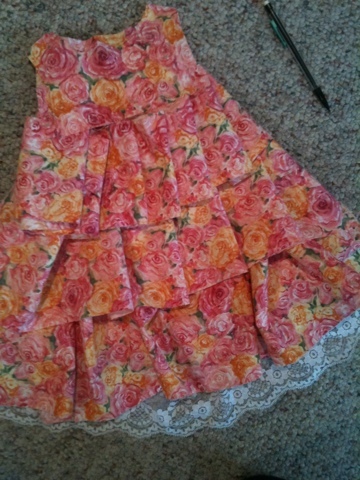 I think the fabric is so pretty and looks beautiful without the ruffles. Not the only one, Heather. I generally favor a simpler look, and I think the fabric is so lovely on its own. Agreed with Heather and Meghann. Fabric's beauty will be enhanced in non-ruffle front. Non-ruffle. Beauty is in simplicity. My first thought is no ruffles. So pretty without them. Ruffles, but not the lace.